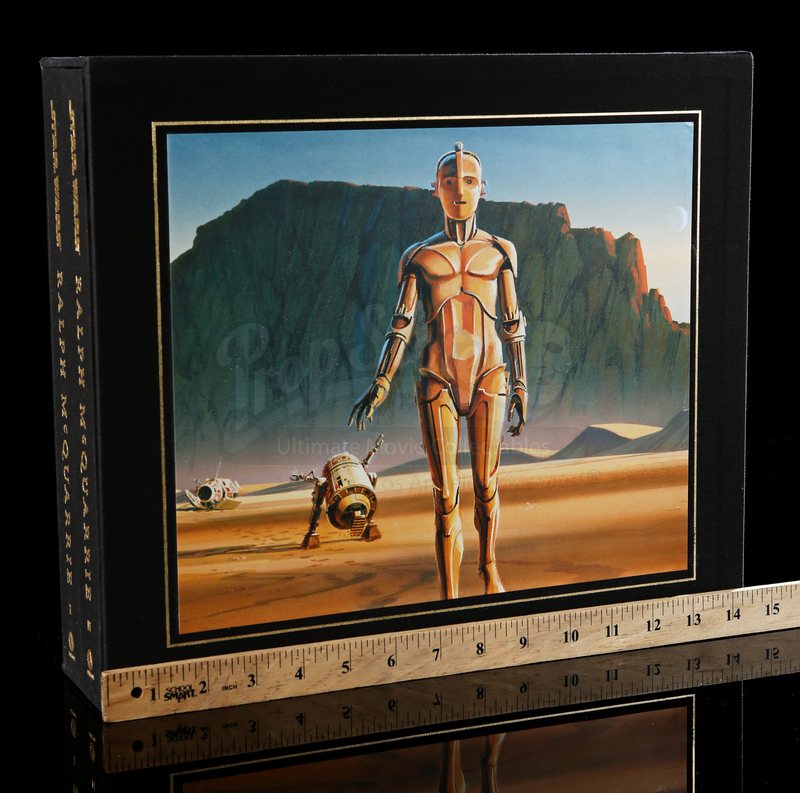 Ralph McQuarrie’s innovative concept design laid the visual foundation for the Star Wars universe and gave a signature aesthetic to a series that would evolve into a cultural phenomenon. 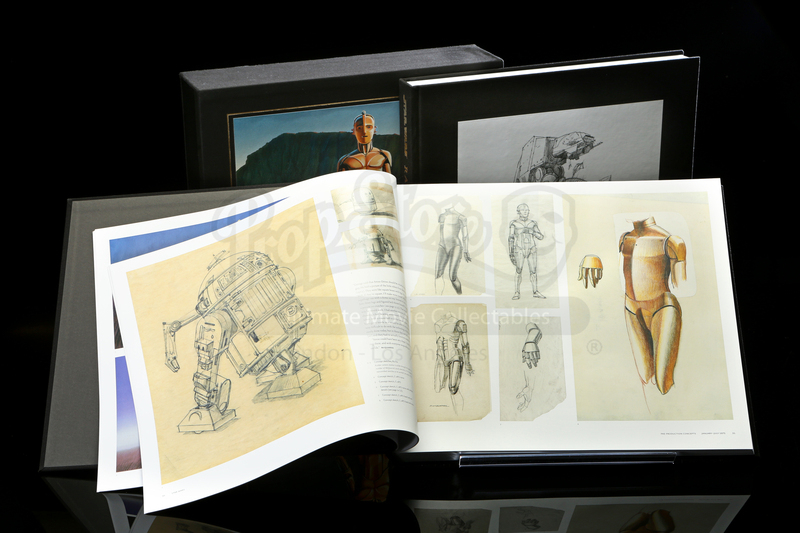 McQuarrie’s art depicts some of the most iconic imagery from the film series and presents early designs of characters beloved by generations of fans including R2-D2, C-3PO, and Darth Vader. 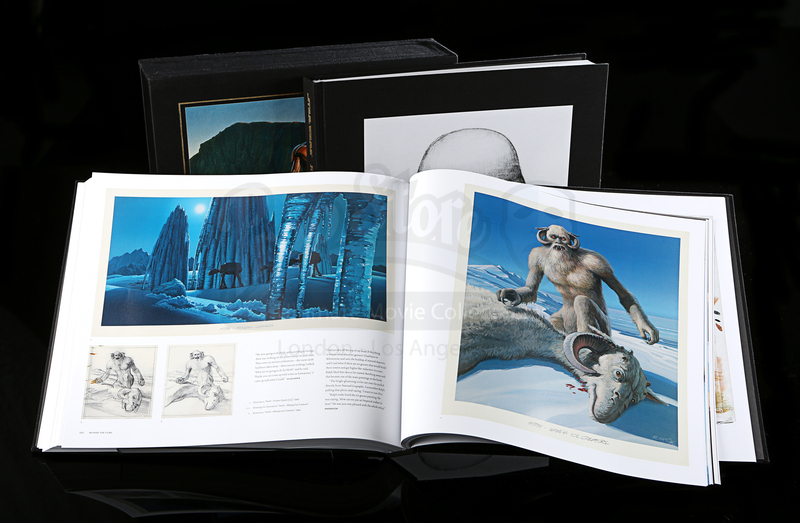 An examination of the design work by McQuarrie is a masterclass in conceptual art and shows how the artist has influenced generations in the film industry and beyond. 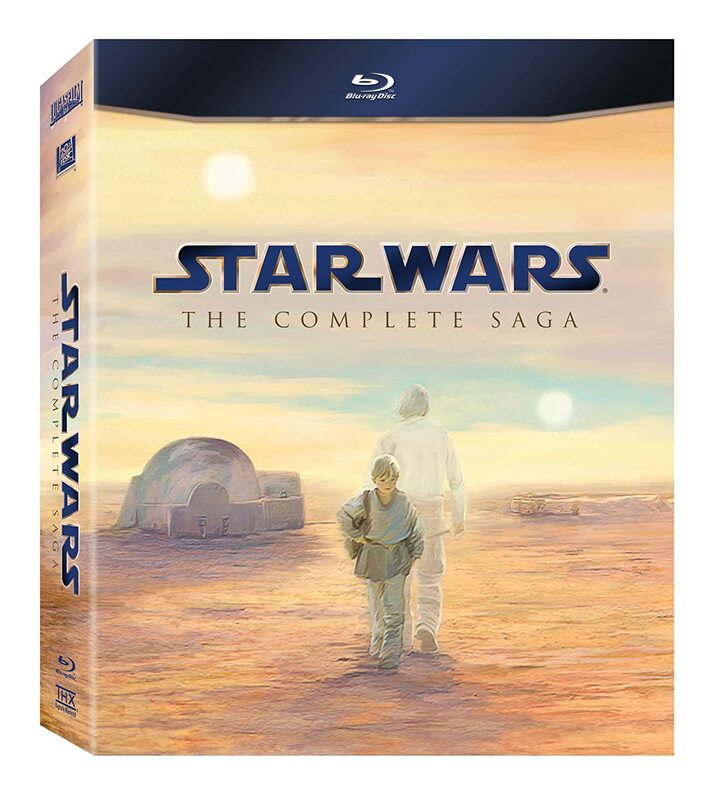 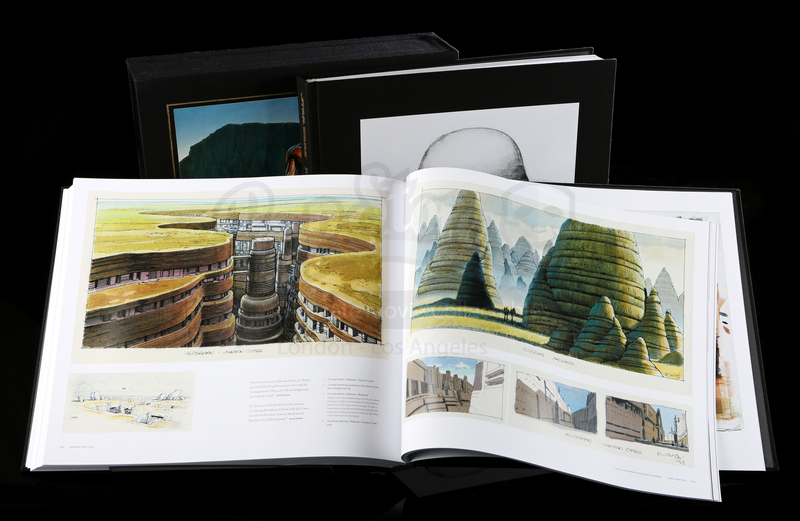 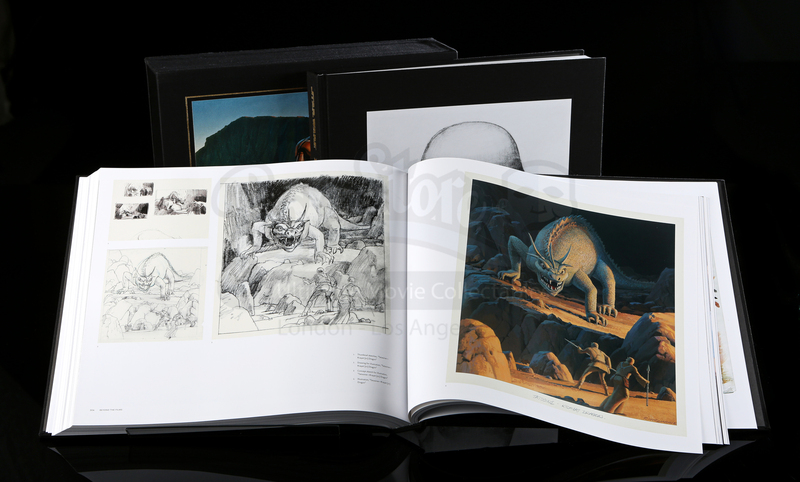 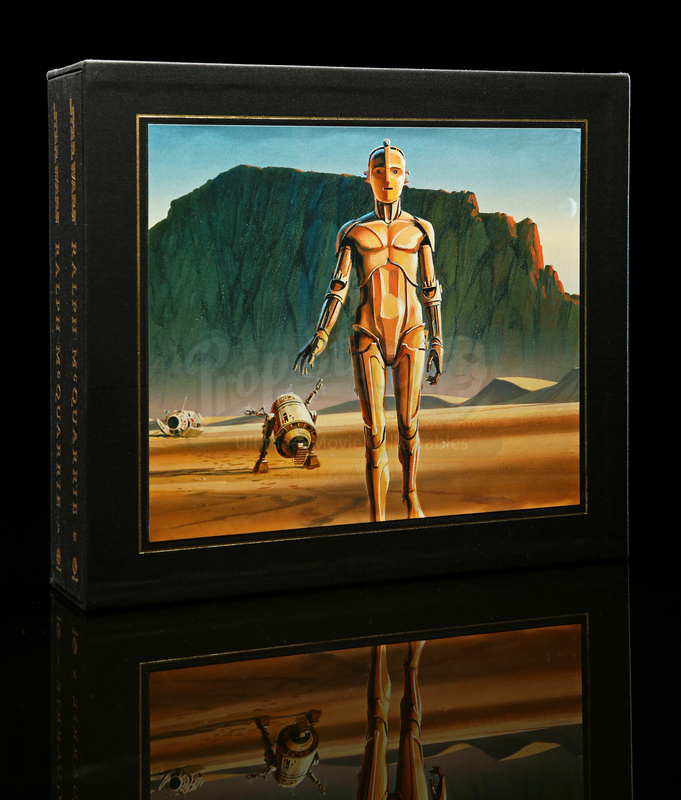 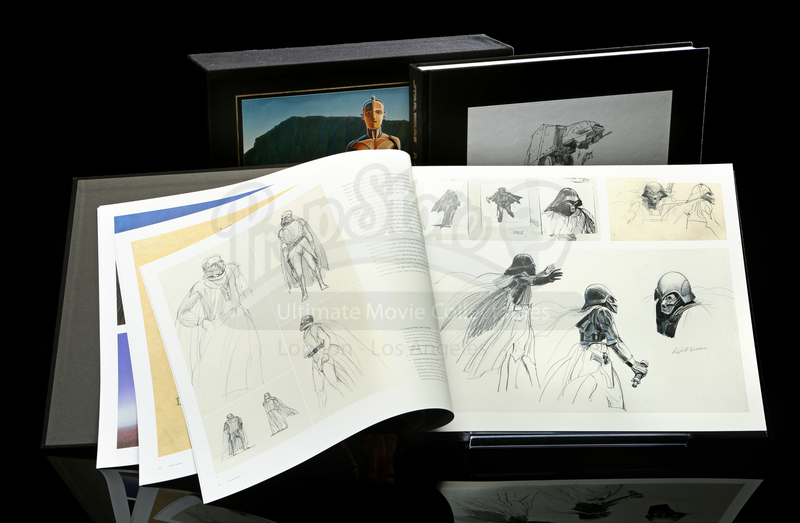 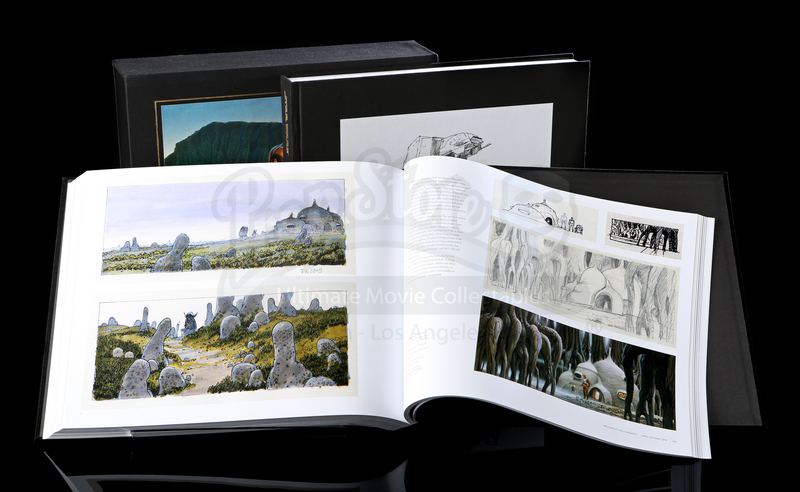 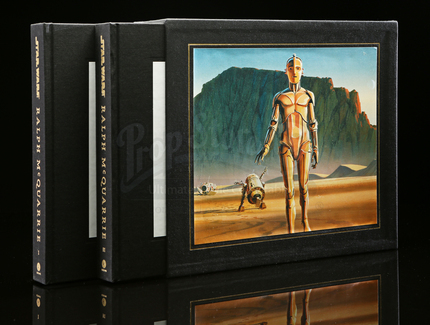 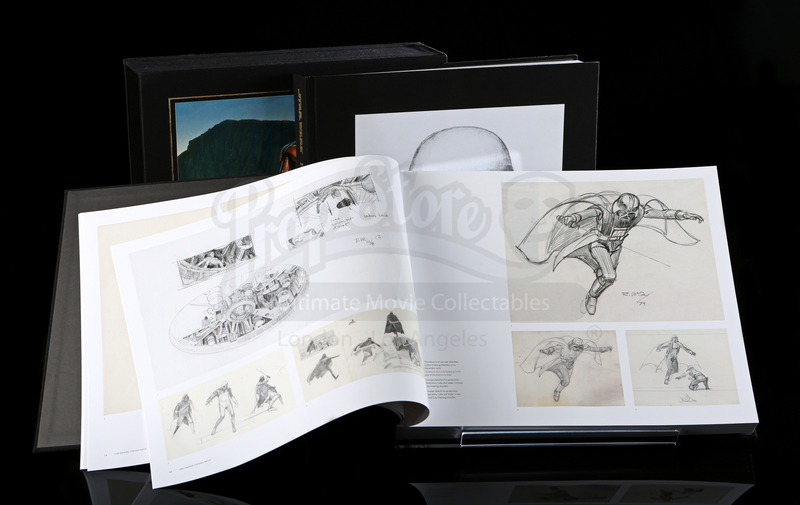 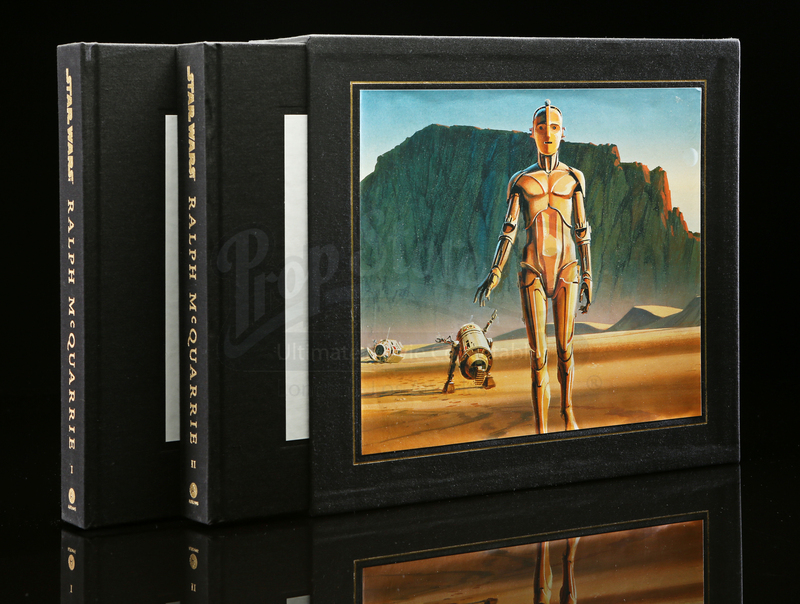 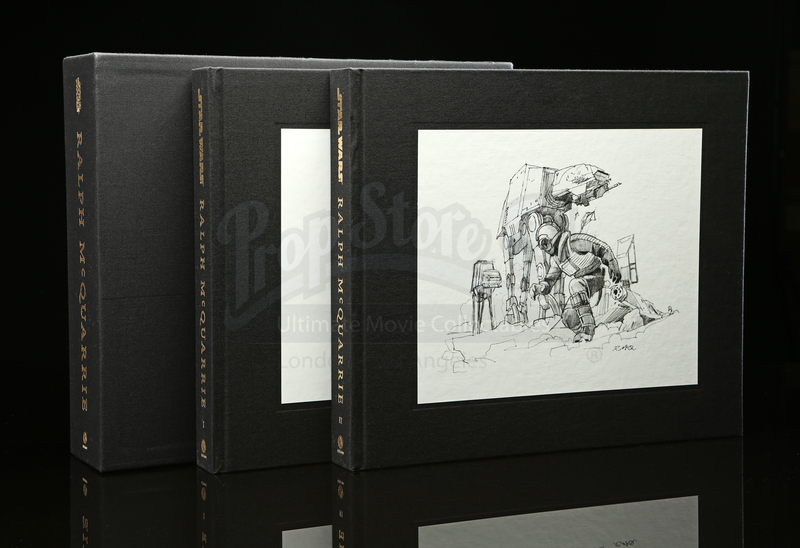 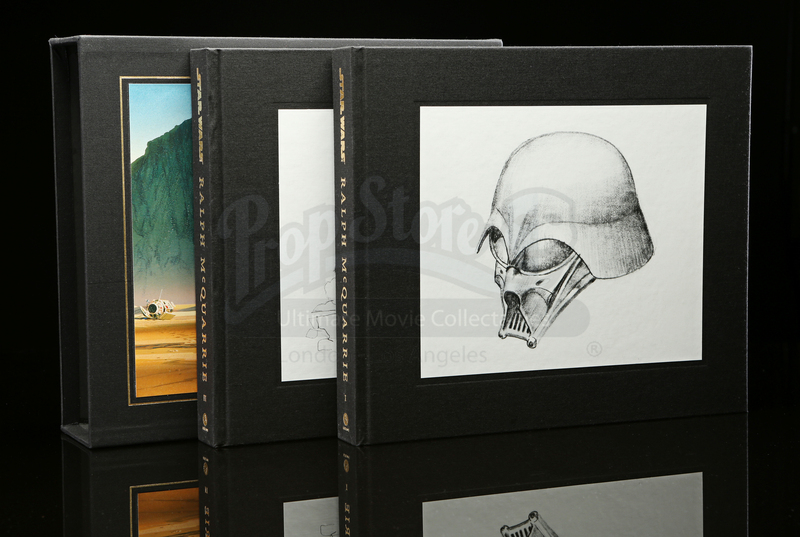 Authored by Prop Store’s own Brandon Alinger alongside David Mandel and Wade Lageose, this two-volume set offers a retrospective of Ralph McQuarrie’s most famous. 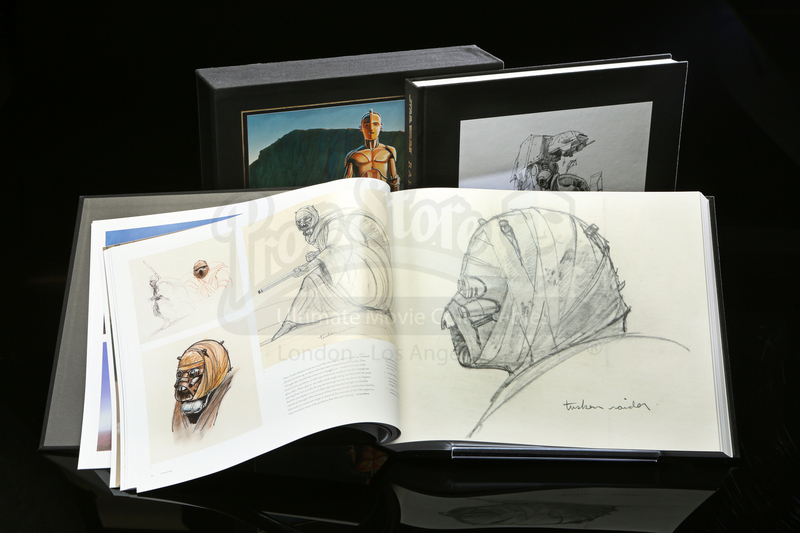 New illustrations and interviews are also published for the first time. 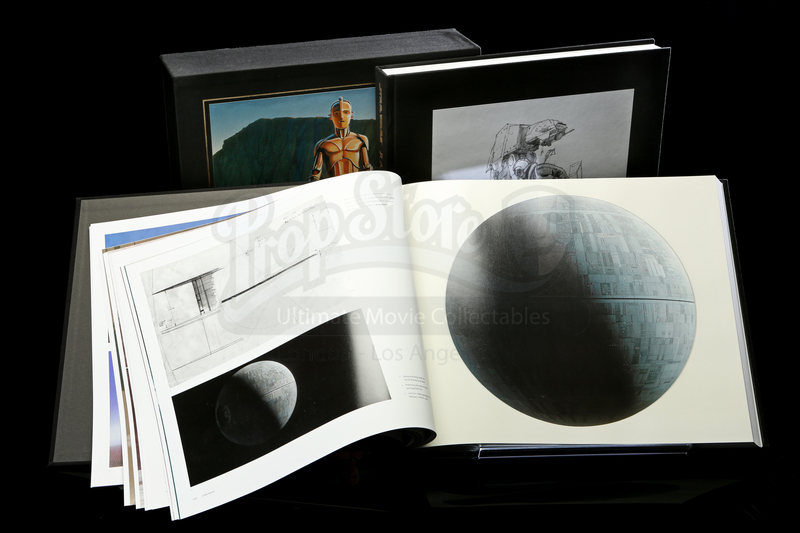 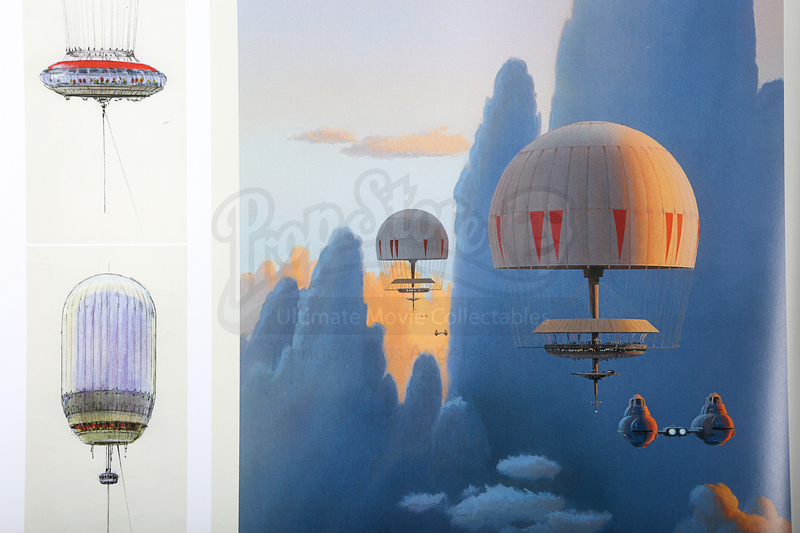 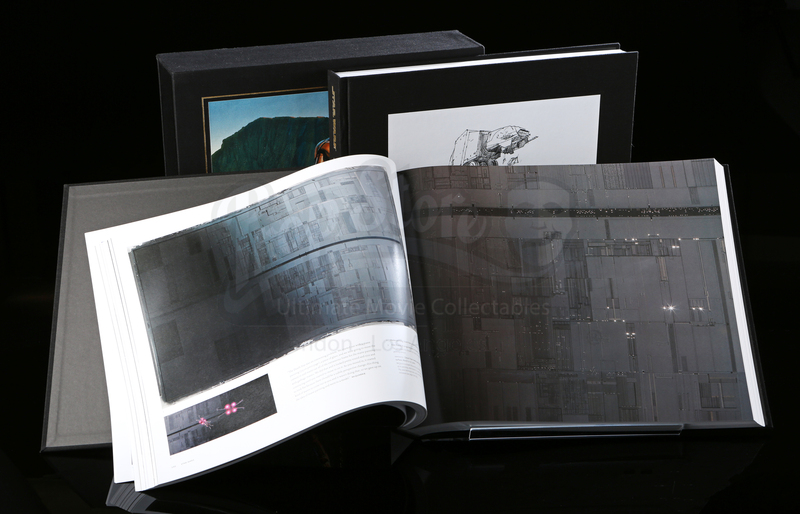 Each image has been rescanned and rephotographed in order to reproduce McQuarrie’s art accurately for readers. 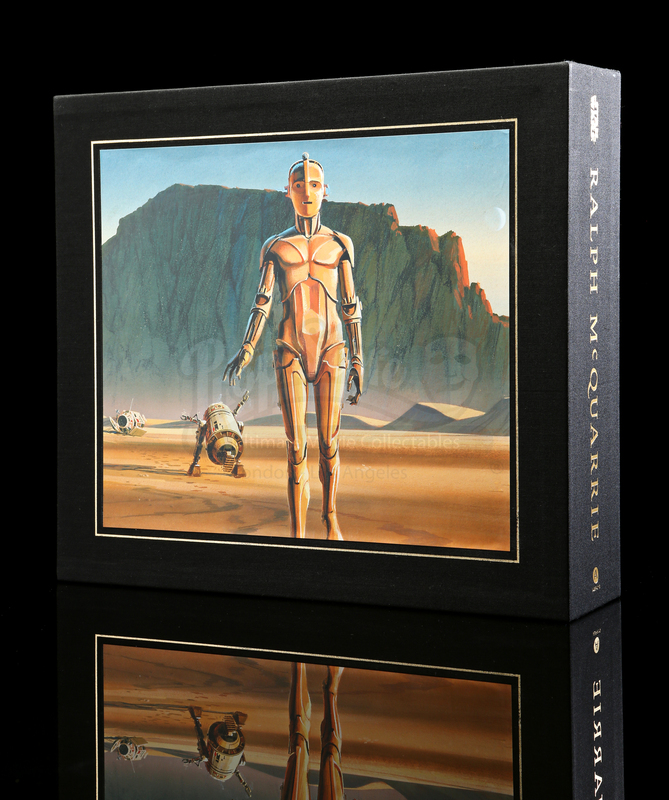 Star Wars Art: Ralph McQuarrie offers a personal and insightful look at McQuarrie’s career through interviews with colleagues and a foreword from George Lucas. 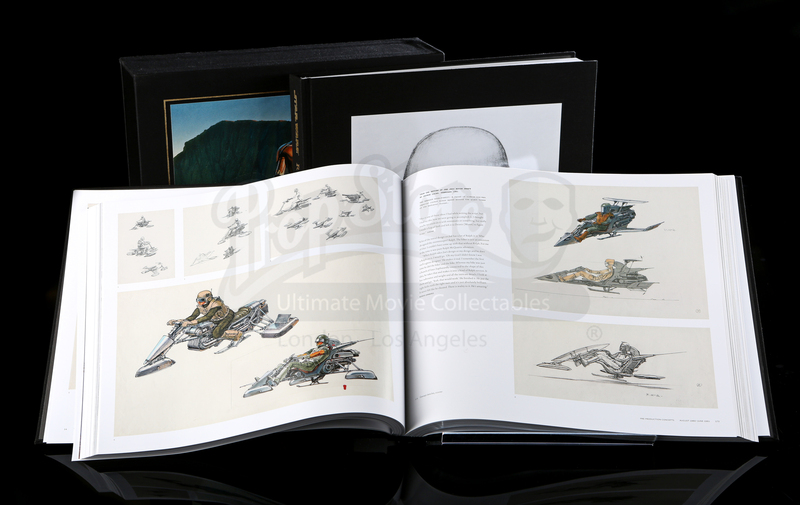 Each copy of Star Wars Art: Ralph McQuarrie ordered from Prop Store has the option to arrive signed by author Brandon Alinger. 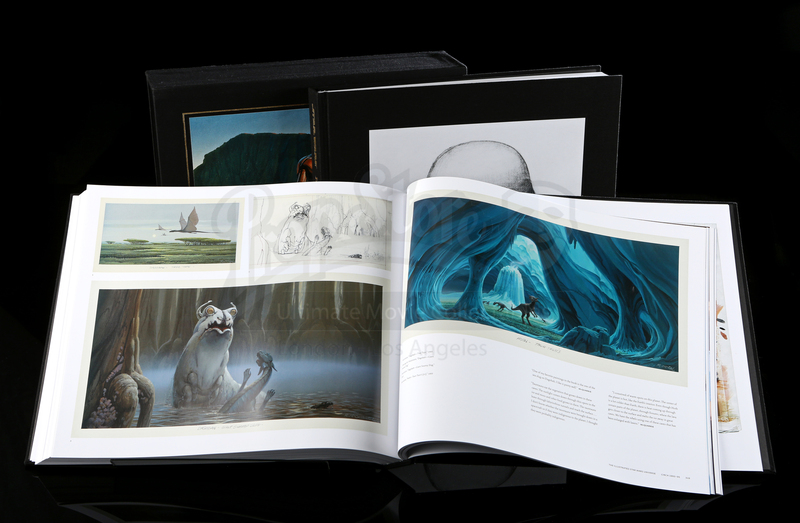 If you desire this for your copy, please say so in the note section at checkout.